I have followed media discussions of British High Commissioner Jon Benjamin’s letter to the Speaker of Ghana’s Parliament with much interest as the Ranking Member of Parliament’s Committee on Foreign Affairs. The other poorly kept secret is the claim that there are some MPs holding dual citizenship in violation of Article 94 (2) (a) of the Constitution of Ghana. Again, I will contend that it’s better to see some swift concrete action on this particular issue instead of it being used by some people for smear and blackmail within diplomatic circles. This definitely raises larger issues of how Parliamentary Candidates are vetted within our political parties and the collaborative role of the Electoral Commission, National Security and Diplomatic Missions; a discussion we will have to return to at a later date. 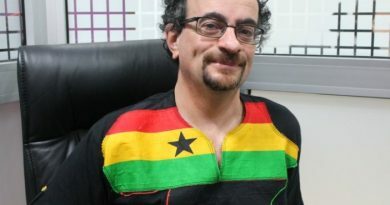 Quite clearly, to Mr. Jon Benjamin, issuing visas to Ghanaian MPs is such a great favour and a reward for good group behaviour. Therefore, because three sitting MPs may have misconducted themselves, all 275 MPs must now face the Head Master’s (if not the colonial Governor’s) wrath and sanctions. Such utter disrespect for our Parliament and our country regardless is most unacceptable. If this is Mr. Benjamin’s mindset even in dealing with the people’s representatives, then one can begin to wonder how he treats the applications of the people of Ghana. Never mind that visa application processes are not free and that the high fees most Ghanaians complain about are not refundable to applicants. 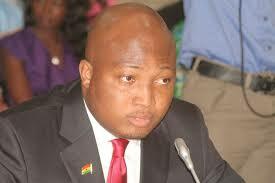 Never mind that Ghanaians including thousands of fee paying students who travel to Britain do so with our own money which must be of some use to the British economy, Never mind that the UK Parliamentary Expenses Scandal of 2009 involved more than 300 MPs, (NOT 3 as in Ghana’s case), with at least 6 of these UK MPs going to jail and yet no bar of suspicion has been raised by any Ghanaian “Head Master” in extending diplomatic courtesies to UK MPs but I guess that is the world we live in. Mr. Jon Benjamin amazingly had no diplomatic difficulties whatsoever in over stepping boundaries and lecturing our Speaker, our President through his Secretary, our Chief of Staff and our Foreign Minister on how diplomatic passports ought to be used and retrieved. Absolutely unbelievable! And by the way, Mr. Benjamin cannot be right when he asserts that MPs continue to use diplomatic passports “MANY YEARS” after they cease to be MPs when he knows that these diplomatic passports are valid for only five years while admittedly an MPs term is four years. The exaggeration was totally uncalled-for. He also knows that by practice these diplomatic passports are withdrawn upon ceasing to hold public office even if the retrieval is fraught with some challenges as all human institutions encounter. Even though many of us have had concern about the modus operandi and non-diplomatic tendencies of the top-most British diplomat in Accra, I will not advocate hostility or reciprocal action on British MPs who will require visa services to visit Ghana as some have suggested because it is entirely possible that Mr. Benjamin’s conduct and social media pontifications may not represent official British Government position. Fortunately, we have some good recent experience as a country in containing interesting High Commissioners since the days of Craig John Murray and more significantly, we should never forget that their postings to Ghana are not the least permanent.